Disclosure: I received a copy of the new CD by Joanie Leeds & The Nightlights from Waldmania PR to facilitate this review. No other compensation was received and all opinions are my own. As big fans of this talented artist, it was a pleasure to check out the new CD coming out shortly. Music is a big part of our lives. Both of the boys are really into listening and dancing with songs. NHL plays in advanced band at school and JSL is begging to try an instrument soon. I believe that being exposed to different musicians and genres of music has helped both of my boys with this passion. Several years ago, we were introduced to singer and song writer Joanie Leeds. We reviewed I’m a Rock Star. Our entire family was dazzled by this CD and it played over and over again. When we looked to see what other items Joanie Leeds had, we were intrigued with Challah, Challah and bought it to listen to on Shabbat. Once again, we were not disappointed. 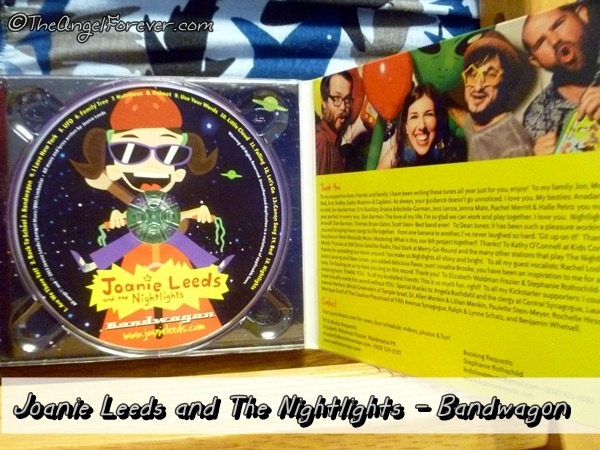 So when I was asked to review the latest CD from Joanie Leeds and the Nightlights, I jumped at the opportunity. When the CD arrived, I had it waiting in our car to surprise the kids after school. To say that they liked it would be an understatement. The boys are in love with the new songs and argue who gets to hold the case to read the words, look at the photos, and decide which song we begin with. Yes, each morning for the last week, the boys debate on the songs they want to hear. This morning tradition helps the boys to be silly, sing, and forget about their worries for the day. Bandwagon (Amazon affiliate link) will be released on June 25 and is Joanie Leeds’ fifth CD for kids. The CD will sell for $15.00, but you can also purchase the MP3 version online. The music is geared for children ages 2-9 and runs for 42 minutes. 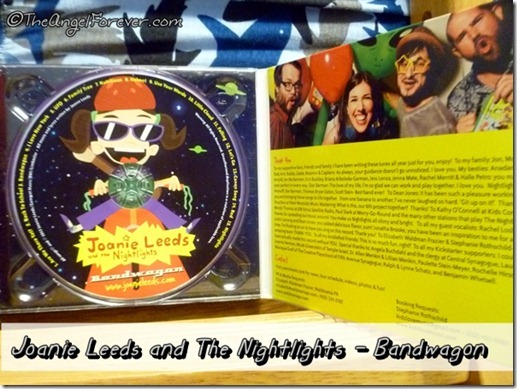 As mentioned earlier, the kids really adore this new CD from Joanie Leeds & The Nightlights. We have listened the the entire song list countless time in order, and shuffled by request. The song variety keeps everyone in the car happy, including the adults. NHL’s favorite is “Bed” because my little musician likes the way it picks up tempo as the song progresses. JSL constantly asks to hear “Helmet” and “Bed” because he can dance with the one and thinks the other is silly since he does not always want to go to bed. As the parent, “I Love New York” it great because it makes the sights of New York City come alive. “Use Your Words” really hits home as a parent of a child with Asperger’s. We have used it to talk about standing up for yourself, using words to be an advocate, and not being bullied. I will also note that “Bed” has been a slight earworm for me, but in a fun way. Oh and parody song fans will also love “Nutritious” which is a play off of Stevie Wonder’s “Superstitious” fame. 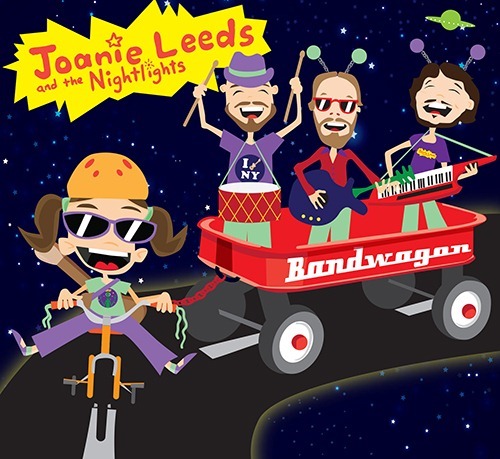 I am sure we will be gifting this CD and others from Joanie Leeds for birthday presents, baby showers, and beyond because they are great for kids of all ages. A huge thank you to Joanie and company for making a family friendly collection of music. Additional Disclosure: An Amazon Affiliate links is included in this post for the CD mentioned (noted above). I will receive a percentage of money for the sale should you opt to purchase it through that link.